Parents of soldier Netanel Felber ask the Jewish people to come together and pray for healing of their son, wounded in Givat Assaf attack. 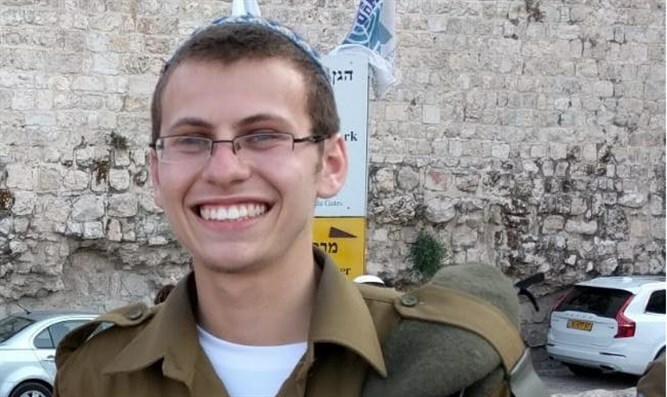 "This coming Shabbat we, all the people of Israel, secular and religious, will pray for the critically wounded soldier Netanel Felber, who is fighting for his life," Education Minister Naftali Bennett wrote Wednesday. The Chairman of the Jewish Home visited the soldiers Naveh Rotem and Netanel Felber, soldiers of the "Netzach Yehuda" battalion who were wounded in last week's terror attacks. Bennett also wrote that "Netanel's condition is very serious because of a severe head wound. The doctors are administering treatment but the truth is that, with a wound like this, they are very limited." He added that Netanel's parents ask the Jewish people to pray this Shabbat for his healing. "All the people of Israel, secular, religious and haredi - we will pray as one for Netanel." Felber's Hebrew name for prayer is Netanel Ilan ben Shayna Tzipora. Naveh added that a resident of Beit El who passed by with her car in the area saved him. "She saw the terrorist attacking and began honking and calling for help."